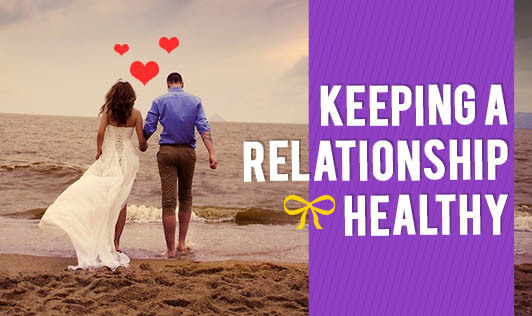 A strong, healthy relationship can be one of the best support in your life. Good relationships better your life in all aspects. They help in strengthening your health, your mind, and your connections with others as well. However, it can also be one of the greatest drains if the relationship is not working. Respect yourself and your partner. A healthy relationship works best not only when partners share their lives with each other but also have an individual identity. Make time for each other. Today’s lifestyle can be busy and stressful and it can seem impossible to spend quality time together. However, 80% of couples who break up cite “not making time for each other” as the main reason for their relationship coming to an end. Communicate – listen – talk – argue. Good communication is essential. Listen with interest to your partner, give them encouragement and support. Try to be honest and offer your opinions in a constructive way. Sometimes a heated argument can have a positive impact too! Adapting and accepting. When couples “go with the flow” of life’s changes, they can adapt and change together. A bit of give and take. Healthy relationships are built on compromise. Knowing what is truly important to yourself and your partner can go a long way towards building goodwill and an atmosphere of compromise. Have fun. Having a sense of humour can actually help you get through tough times, reduce stress, and work through issues more easily. Find ways to laugh and have fun together. Remember: Keep working at making yourself and your partner happy and don’t take each other for granted. Stay Happy!